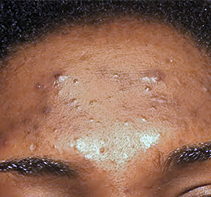 Oumou Ly: "My name is Oumou and I have always had skin problems: pimples, blemishes, blemishes, etc. For a few months, my spots have been accentuated and I had more and more pimples. impossible for me to go out without makeup, I did everything to reduce my imperfections but nothing worked, I had almost no hope. 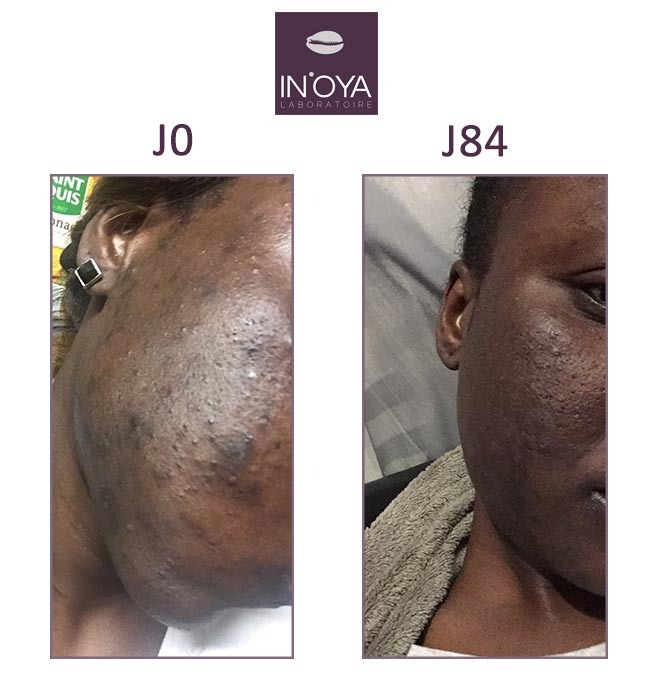 I discovered the brand In'Oya through a friend, so I did a lot of research and the fact that it was a brand specialized for black skin attracted me. I was fortunate to be drawn to benefit from the Oya program. 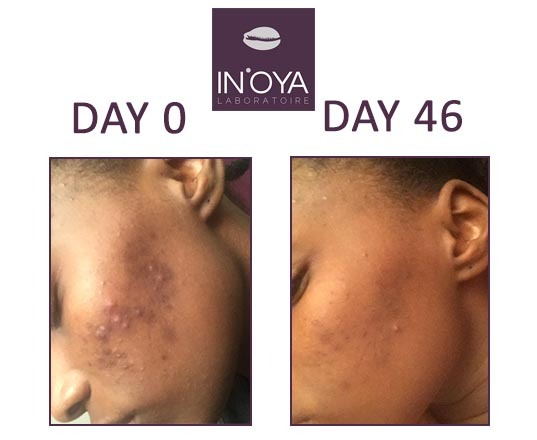 I started the treatment on March 20, 2018, after two weeks, I had the impression to have fewer pimples and my skin was less dry, less torn. I followed my personalized program every day to the letter, Little by little my tasks were attenuated without I really become aware of it. Today my pimples are almost gone, I slowly start to like my skin. I know that my spots will not go away overnight and that you have to be patient and diligent in your daily routine in order to hope for results. I want to thank the In'Oya team for giving me the chance to test their products and to have accompanied me during these few months. "